Professional Mixed Martial Artist and UnderGround regular “disbeliever” began training in the martial arts at age 4. He was raised by a single mother who had to put him in either day care or karate after school… he chose karate. He started in Tai Kwon do for two years before moving on to Kyokushin Karate, Japanese Ju-Jutsu, and Judo. At 17, he switched his focus to Brazilian Jiu-Jitsu, Boxing, and Muay Thai, and continues to train in each regularly. He’s now 29 and lives in the Baltimore, MD area. We caught up with disbeliever to get a “pro’s perspective” on the misconceptions about becoming a fighter and how to best progress down that path for those interested. MMAFullContact.com: 20 years ago, the typical young American male dreamed of playing professional football, basketball, or baseball. While that’s still true to a certain degree, many now want to be a “cage fighter” or “fight in the UFC” instead. 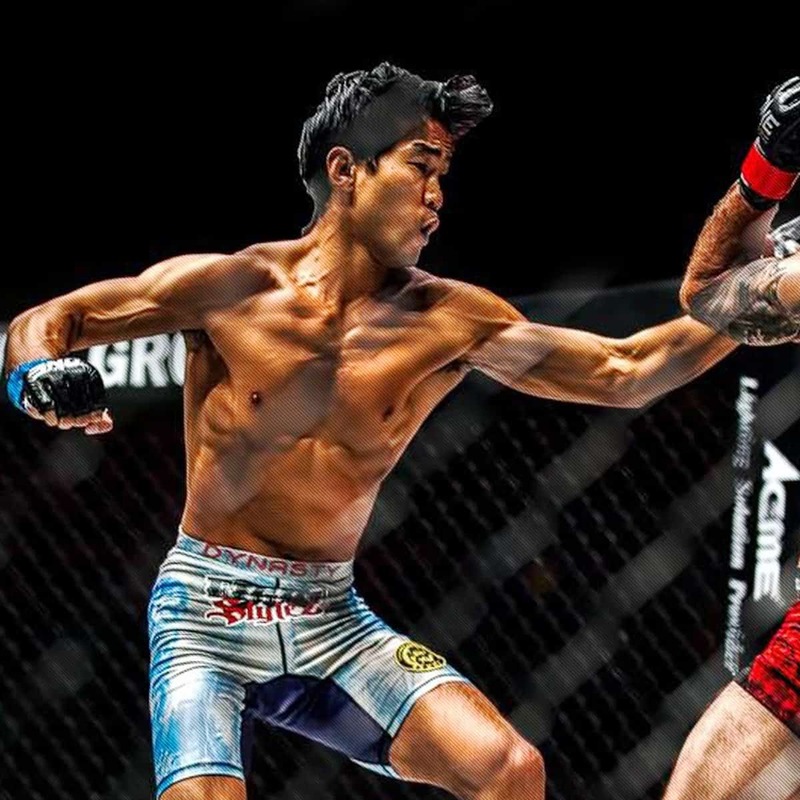 You’ve fought professionally, and, as a result, can offer a unique perspective on what it actually takes to become a professional mixed martial artist. Do you think that most have a realistic perspective on what it takes to “go pro”? disbeliever: I believe a large number of people have lost sight of what should go into becoming a well rounded fighter versus what the minimum amount of work that is needed to be allowed to fight professionally. Realistically, anyone with a certain level of athletic ability could spend 6 months boxing and sprawl training and step into a cage or ring professionally. They may win, they may lose. That is not the proper way of doing things though. MMAFullContact.com: Why do you think that so many have such a warped perception of the reality of fighting professionally and its demands? disbeliever: The sport is so new still. There is no real set path needed to be walked to become a fighter professionally. In the NFL, young boys know they need to play all the time as a kid, play in high school and then college and get picked up by the NFL. It is a process. People today want instant gratification and do not want to dedicate their lives to something. If you look at the UFC champions, all of them have spent their lives in the Martial Arts. They did not just decide a year ago they wanted to fight UFC. Brock Lesnar has been wrestling high level his entire life. Lyoto Machida has devoted his life to the Martial Arts, as has Anderson Silva. GSP (Georges St-Pierre) started Martial Arts at a very young age. BJ Penn has been in BJJ for over a decade. You really need to devote your life to something to be truly great at it. I was not able to excel in professional fighting due to me not putting it at the top of my list of priorities. MMAFullContact.com: Exactly what does it take and is there a defined path to becoming a professional mixed martial artist (such as fighting as an amateur first)? What would you recommend to a family member or friend – with no martial arts experience – to begin the process of potentially becoming a professional fighter? disbeliever: I believe there is no set defined path. You could just sign up for a professional fight one day with no training, and be a pro fighter. As I said there is a difference between what one should do, and what the easiest path is. One should get under a good trainer, train hard, and improve. You should trust in your trainer to tell you when you are ready. More goes into being ready than being in good shape, you need to be mentally prepared as well. I believe you should start amateur to get a feel for it and get the nerves worked out before blemishing your record potentially. I did not take this advice (laughs). MMAFullContact.com: Do you feel that there’s a specific sport that prepares someone well for fighting? If an aspiring fighter has a wrestling background, or played football, is that of any particular benefit? disbeliever: I really think a wrestling background is a good base, because of the experience with competitions and training volume. On the flip side of that, from being a teacher, I have seen a portion of wrestlers come into MMA or BJJ with a certain attitude of invincibility or ego. It really depends on the person more than anything. If they have a great attitude, love learning, and work hard, they can excel. MMAFullContact.com: We’ve both seen arguments arise from discussions related to the value of one martial art or fighting style vs. another (think BJJ vs. wrestling, or Muay Thai vs. boxing). For an aspiring fighter that’s just beginning to train, is training the “best” individual style important or is a blended training approach the best path? disbeliever: I have always told anyone I taught it is dependent on your own personal goals and desires. There are some people who want to be true martial artists and excel in the art side of things. There are people who only want to scrap and fight and be a fighter. And there are people who cross both sides. Depending on your goals, you should choose your own starting point. If your main goal is to be a full time professional fighter, you should focus on blending all aspects of combat. Striking, grappling, and wrestling. Cut your time into blocks, and work on each single aspect of those three. Then set aside one additional block to work on blending all three levels into one flowing creature. From what I have seen, GSP does this best. In between training camps, he works on specific elements separately, such as BJJ or wrestling. As his fights get closer, he focuses more on MMA vs. specific elements. MMAFullContact.com: How important is it for a young fighter to align himself with a good school or camp and to have someone mentor them? disbeliever: Finding a coach who has actual experience in fighting will do nothing but help your game. Do I think you should pack your things and fly to train with someone like Greg Jackson just because he trains GSP? No. You can find skilled people in your area, who have experience and rank and work with them. That is not to say training with Greg Jackson would not be a good thing. Again, it comes back to what does the person want. Some people think they want to be a fighter, only to get hit in the face once and quit. Thus spending the money to relocate to a high level camp was wasted. It all comes back to starting small and building up. MMAFullContact.com: Looking back on your road to becoming a professional mixed martial artist, is there anything that you wish you would have done differently or any recommendations on what to avoid? disbeliever: My main passion has always been the art side of Martial Arts. I loved teaching more than anything. I started as a child in traditional arts and worked my way up. My main goal in life was never to be a full time professional fighter, so I did not treat that aspect as the highest priority. I spent the majority of my time teaching others, working with others, and not a lot of time on training myself to fight. That was something I regret because I was not able to showcase my skills properly. If you are going to be great at anything, and truly have a desire for it, throw yourself at it 100% and have no regrets. I spent my time balancing a lot of things, and goals, thus never devoting myself 100% to fighting.